I’ve been gobbling up other people’s weeknotes for a few months now and debating whether I should or shouldn’t I start one. I’ve wanted to, but been worried about the nature of my work and whether I can really speak meaningfully about what I’m doing without going into the details. As a result these might appear a little sparse, but I’m planning to bulk up with a weekly section of “things I’ve been thinking about which may or may not become a blog” (you’ll find it at the bottom) on which I would appreciate thoughts, feedback, or suggestions of things I should definitely read. Also I’d like to send big thanks to both Julie Byrne and Dan Barrett, who agreed to meet me, and were really positive about their experiences of writing weeknotes. They both helped me set my own expectations about writing and everything that comes with that. But, as I keep telling other people I work with to start “over-communicating” I figure I should probably listen to my own advice. 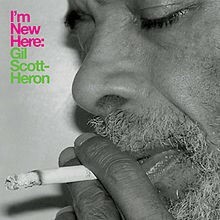 And, here I am. Monday was hot. Too hot. I was working from home and the combination of both of these things made it very difficult to concentrate. Thankfully it wasn’t too busy and I had some time to do some thinking and reading. In my role as a Business Partner, I help scope work and give guidance about how to meet Digital by Default service standards. Occasionally I get inquiries or contacts with teams which aren’t straightforward and require me to go on a bit of a treasure hunt (I’m being generous here and not calling it a wild goose chase) to find out the context and history. I had something like this come in, which required speaking to three colleagues to really get to the bottom of, but nobody was immediately available. Its interesting when you have this kind of “emerging story” situation going on. I realise my need to try and get to the bottom of things quickly so that I can get to work on finding a pathway through it. It’s difficult because it can make me feel unproductive if I can’t take action quickly. I usually counteract this by bouncing ideas off of people in my team, but being at home I couldn’t do that either. I also joined a dial-in about an upcoming leadership scheme at work, which was interesting. 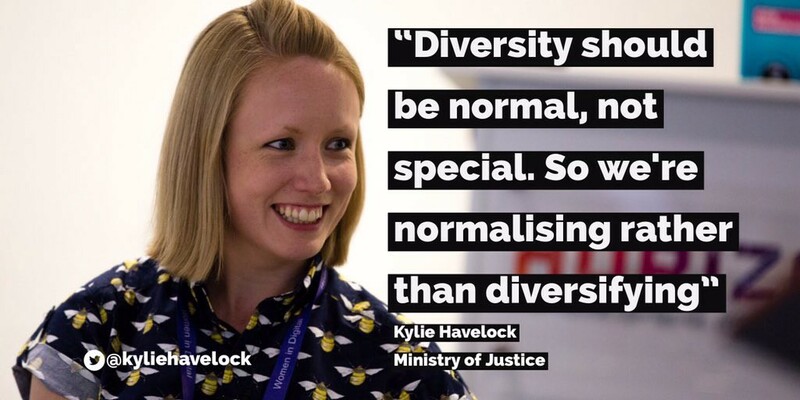 One of the sessions which seemed to go down really well (if Twitter is anything to go by) was MoJ’s Kylie Havelock, who spoke about normalising, not diversifying. On Tuesday I’d managed to do all of the catch ups I needed to solve the thing which came in on Monday, so I was able to build an email outlining how to move it forward. I had a really positive conversation with the stakeholder who is appreciative of the pragmatic advice. My colleague at GDS told me “We need your intervention on more things” which made me really really happy. In the afternoon I had my first ever 1:1 with Luke who is Head of Digital. My role is now split 50:50 between his team and the Engagement team. It was good. We talked about creating some templates for proposals, working on a roadmap we have produced, and about the format of an upcoming Beta assessment we will be running. Wednesday morning I rushed to a 9.15 meeting which I’d completely forgotten about because 9.15 meetings aren’t a thing. 9am yep. 9.30 sure. 9.15. No such thing. It was with a member of the recent Accelerator cohort who has plans to develop a peer-led video platform which I think will have a great impact, there is lots of detail still to work out. Afterwards I had a catch up with the service manager for the service we are assessing soon. They’ve had lots of delays as a result of the election, purdah etc, but they’ve overcome them amazingly. They’re heading into Private Beta and I’m genuinely excited about it. We talked about the new approach for their service assessment which she was pleased with. The cross government assessor network had a meet up and Luke forwarded me some of the presentations which I read. There was a presentation from another department, who are collecting data about their service assessments and which points of the service standard cause the most problems. I’ve set up a sheet to start collecting that information ourselves, though we do less assessments, it will help us think about building capability in certain areas. We are moving offices so at about 2.30pm people came to pack up all of our monitors and things. I travelled home early and picked up work in the evening, and on Thursday I decided to work from home (not a typical week with two WFH days in it) but nice nonetheless. I had some papers to read for next week’s Shadow Board. And some applications to review for the new Technical Architect role that we are recruiting. I helped a colleague write a part of an MOU explaining the BP role, and another colleague write an email to a senior stakeholder, I sent a query into the cross government accessibility network and got a ton of great feedback back. And I reviewed a Jira set up that we are going to start using to track our portfolio activity and get some KPIs. So it was a productive day. And that’s it. My working week is currently Monday-Thursday so I have parenting duties until next week! As discussed above, here are some ideas that have been bouncing around in my head this past week. Thoughts, suggestions for things to read, comments, all very welcomed. Tracking assumptions, I’ve been thinking a lot about the benefits of tracking our assumptions at early parts of projects so that we can shape our discovery user research and business analysis. Any ideas or things I should read on this topic are greatly recieved. Being a leader who never delivers. I’m hoping to apply for a leadership scheme at work this year, but it’s a difficult proposition when a lot of what you do is consultancy and assurance. How do you sell yourself when you’re a leader who never “delivers” and how do you measure building capability in other teams? Sponsorship over mentorship. 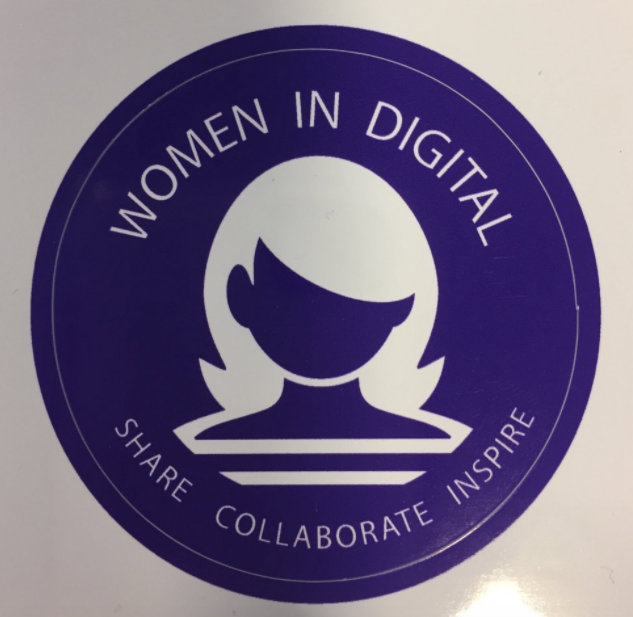 I think this might have come up at the Women in Digital day too, but it’s something I’ve been thinking a lot about recently. Experiments with cultural change. I’m interested in how I can undertake little projects which don’t take too much time but change how people think and maybe their ways of working. I’ve done this recently with the organisation of Mental Health Awareness Week, with social events I set up called Culture Club (visiting exhibitions) and have plans for some more, but that’s probably enough for another blog.